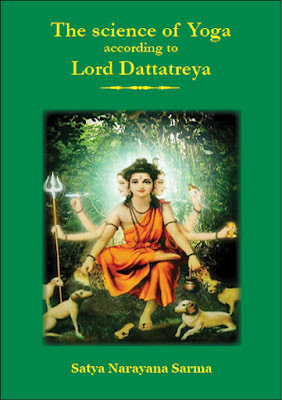 'The Sceince of Yoga According To Lord Dattatreya' E Book released today. Today is Vinayaka Chatrudhi. 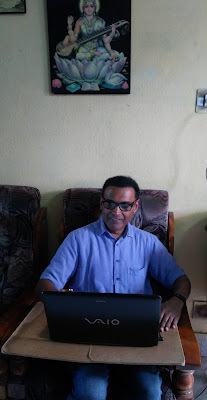 Readers of my blogs are well aware that all my books are released in Telugu and English simultaneously. So. 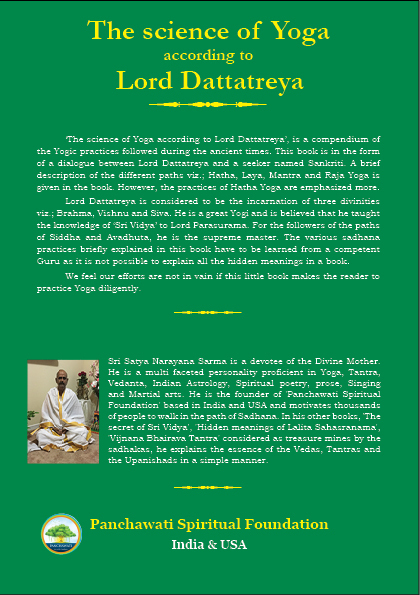 on this auspicious day, I am releasing my latest E Book - 'The Science of Yoga According to Lord Dattatreya'. As usual, this can be had from our book publishing web site pustakam.org. I am happy to announce that this book along with its Telugu version is going to be released very soon in print form. I convey my greetings to all my followers and readers on this auspicious day. Our latest English E - Book "Vijnana Bhairava Tantra' is released today by Shri Anand Kumar, President, Panchawati Spiritual Foundation, USA, who is on a short visit to India. All my books are being released in Telugu and English simultaneously. Similarly, this book too is appearing in both the languages at the same time. Every language is sweet in its own right. Each has its own beauty. This E Book is intended to cater to those who cannot read Telugu language. The English book, like its Telugu counterpart, has come out very nicely, matching international standards expected of it. We are very much satisfied with both of these books and proudly present them to the literary world. We hope the readers will also feel satisfied and inspired after going through these two books. Like our other books, this book also can be had from pustakam.org. Print version of this book will be released within two weeks.